Buy Jacob Foltz a Coffee. 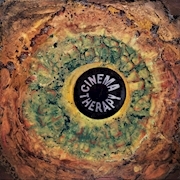 ko-fi.com/cinematherapypodcast - Ko-fi ❤️ Where creators get paid by fans, with a 'Buy Me a Coffee' button. I brought Cinema Therapy Podcast to life! Cinema Therapy is about divisive films worth talking about because they're worth watching, and worth watching because they're worth talking about. Did my podcast make you like a movie you previously hated? If so, send me a coffee! Secured Payments. Support goes to Jacob Foltz's account. Upgrade Jacob Foltz to a yearly Gold Membership with a one-time payment.